Galashiels Combination was formed in around 1859 and comprised the parishes of Galashiels, Bowden, Melrose, Selkirk, and Yarrow, joined in around 1900 by Caddonfoot. The total population of the member parishes in 1881 was 28,944. 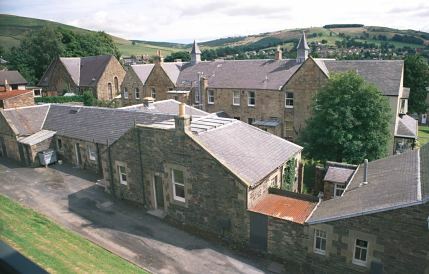 The Combination poorhouse, designed by James Campbell Walker, was erected on Kirkbrae in Galashiels in 1859-60. The site location and layout are shown on the 1899 map below. Galashiels main block from the east, 2001. Galashiels from the south, 2001. Galashiels general view from the west, 2001. After 1930, the poorhouse was renamed Windyknowe Public Assistance Institution, then in 1950 became the Eildon View Home. 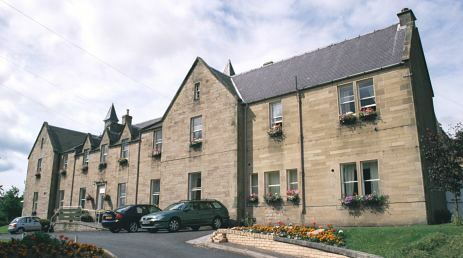 A residential care home for the elderly now operates on the premises. 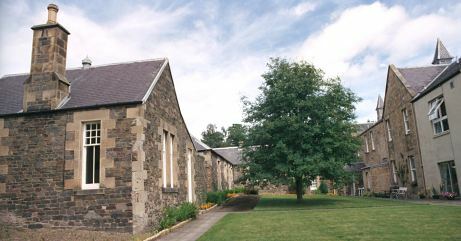 Scottish Borders Archive and Local History Centre, Heritage Hub, Kirkstile, Hawick TD9 0AE. Holdings include: Parochial board records (1846-1930); Poorhouse records (1881-1949); Eildon View Home records ( 1950-1975); Poor Law Magazine and Parochial Journal (1885-6).